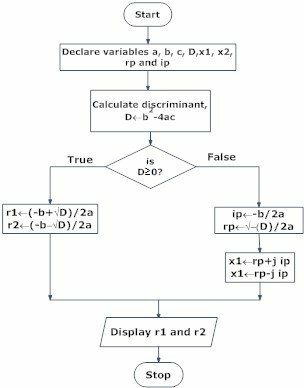 Flowchart is a diagrammatic representation of an algorithm. 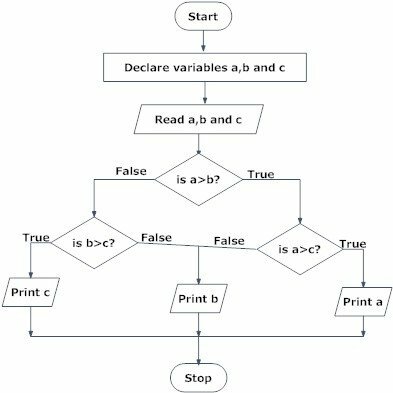 Flowchart are very helpful in writing program and explaining program to others. Flow line Used to indicate the flow of logic by connecting symbols. Terminal(Stop/Start) Used to represent start and end of flowchart. Input/Output Used for input and output operation. Processing Used for airthmetic operations and data-manipulations. Desicion Used to represent the operation in which there are two alternatives, true and false. Off-page Connector Used to connect flowchart portion on different page. Predefined Process/Function Used to represent a group of statements performing one processing task. Draw a flowchart to add two numbers entered by user. 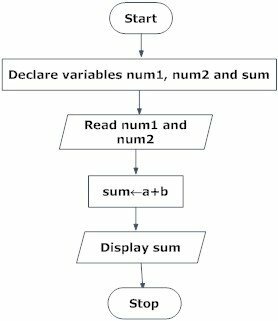 Draw flowchart to find the largest among three different numbers entered by user. Draw a flowchart to find the Fibonacci series till term≤1000. 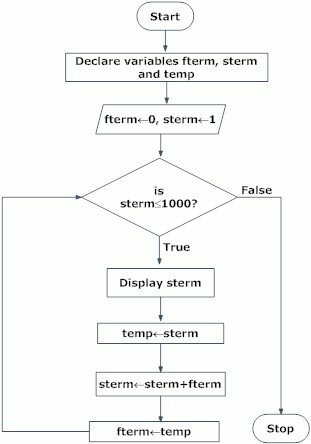 Though, flowchart are useful in efficient coding, debugging and analysis of a program, drawing flowchart in very complicated in case of complex programs and often ignored.